“Every waking minute of her life so far has been threatened by this heart disease. Her heart is giving up on her and all we can do is watch. We’re helpless and shattered, but we haven’t given up. 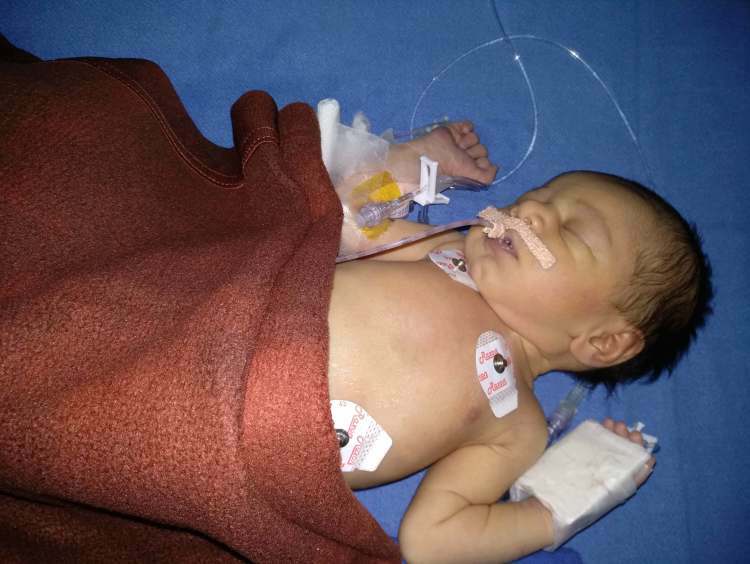 We won’t rest till we take her home healthy and safe.” - Bushra, the baby girl's mother. What was supposed to be Bushra and Sohail’s happiest day quickly turned into the most frightening day of their lives. Their baby girl was born struggling to catch even a single breath. 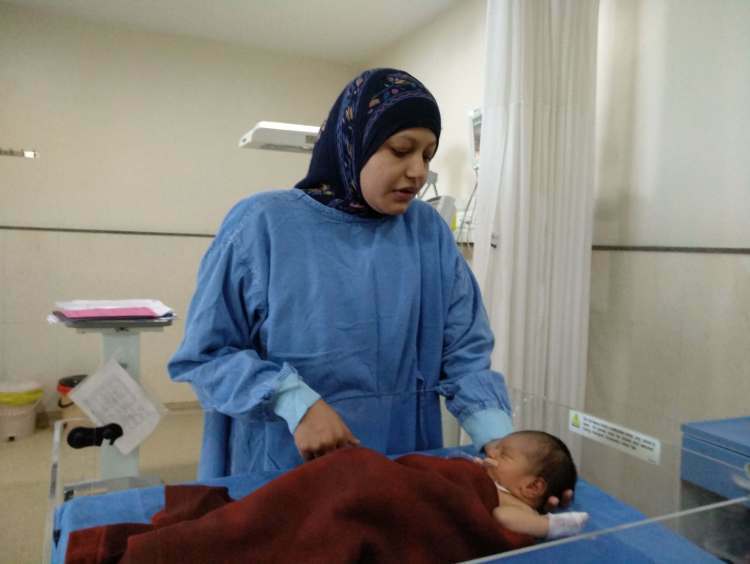 Before Bushra could get a glimpse of her baby, she was being taken away for tests. The doctors told the distressed parents that their baby was born with a serious heart disease and the only thing that can save her now is a heart surgery. Bushra’s baby is only 4-days-old and fighting to stay alive in the ICU. Without an immediate surgery, she won’t make it for long. Bushra and Sohail are desperate to save their only child, but their hands are tied. 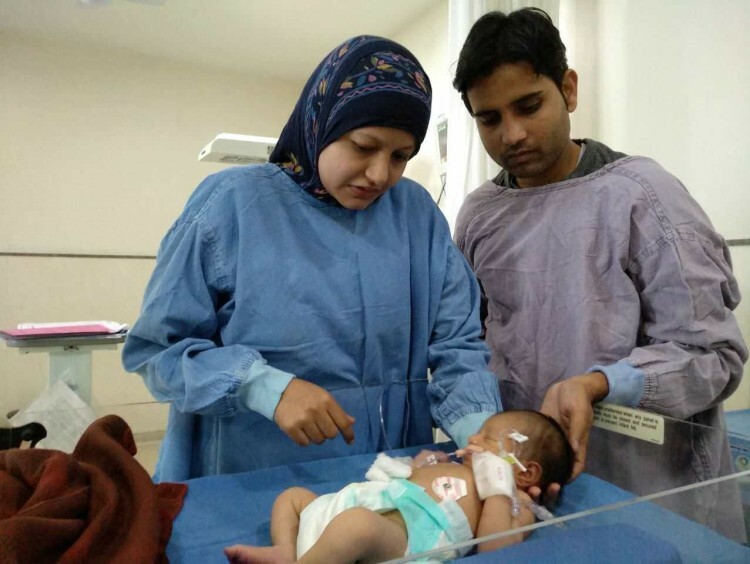 The first time Bushra and Sohail saw their baby, she had tubes all over her body. It’s only been 4 days since her birth, and she’s already been through the unimaginable. 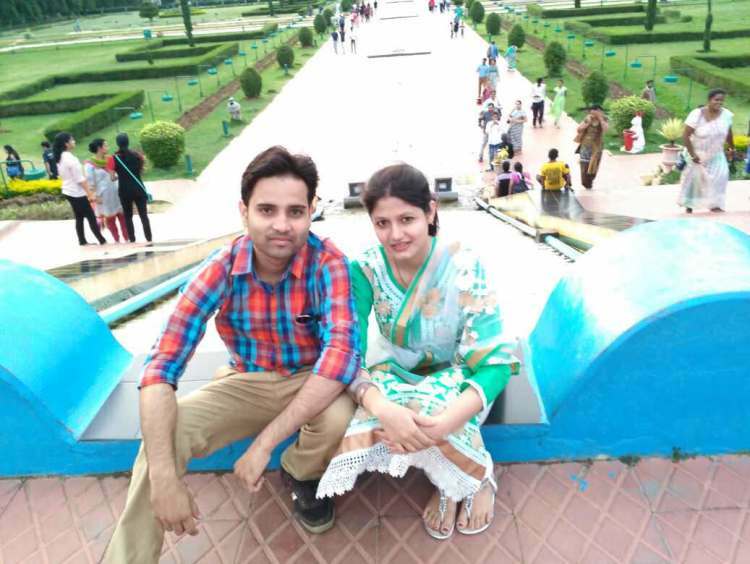 Their baby was born in Nagpur but was rushed to a hospital in Hyderabad in an ambulance as an emergency. Bushra’s baby has a complex congenital heart disease that restricts the blood flow through the heart and affects the blood and oxygen supply in the body. With no blood and oxygen supply, the baby risks losing her life at any moment. Only an urgent surgery can save her from this tragic end. Bushra and Sohail have had nothing else on their minds except saving their daughter’s life. They receive numerous phone calls from family members every day, but they never know what to say to them without breaking down themselves. Unfortunately for the couple, their financial condition stands in the way of their baby’s recovery. Sohail works as a lab technician for a private company, and their baby’s daily medical bills exceed even his monthly income. Wracked with guilt and sadness, Sohail and Bushra have nowhere to go and no one else to turn to for help in these desperate times. 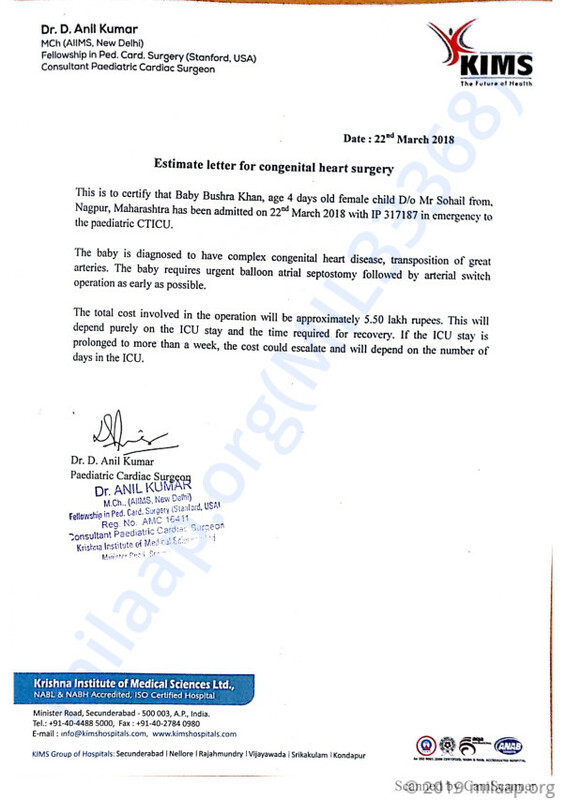 Bushra’s baby needs to have the heart surgery as early as 26 March. She is currently in the ICU due to a congenital heart disease. Her condition is slowly stabilizing, but without the surgery, it could deteriorate any minute. 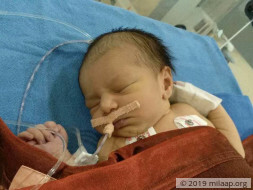 The baby girl can make it out of this ordeal and go back home in the arms of her doting parents, but Sohail has no means to afford the surgery. They need your help to save their only child’s life. 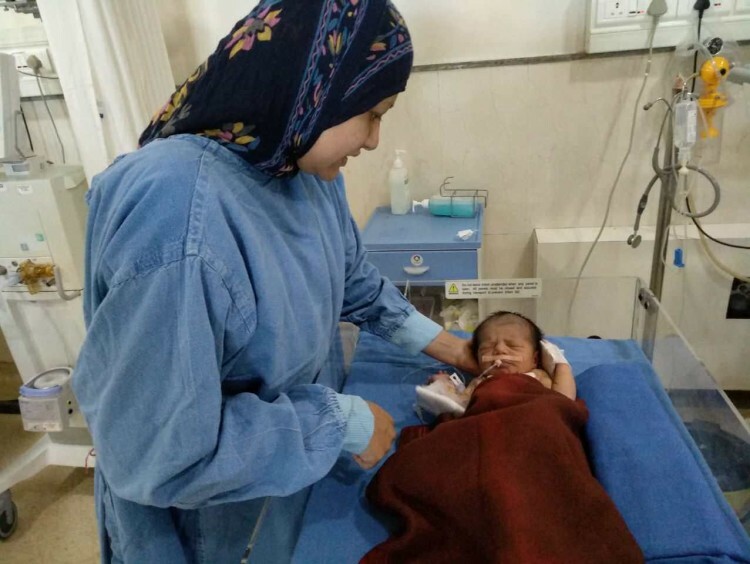 Your support will save Bushra’s baby girl. The septostomy that was done yesterday was life saving to improve the saturation of the baby which are the oxygen levels. Please do share it with friends and family and help this baby out.